Designed for all peoples of the world irrespective of traditional notions of race, class or religion, the Mashriqu’l-Adhkár or House of Worship is the gift of the Bahá’ís to the world, and a demonstration of the Bahá’í belief in the oneness of God, the common divine origin of the world’s great religions and of humanity as members of one family. 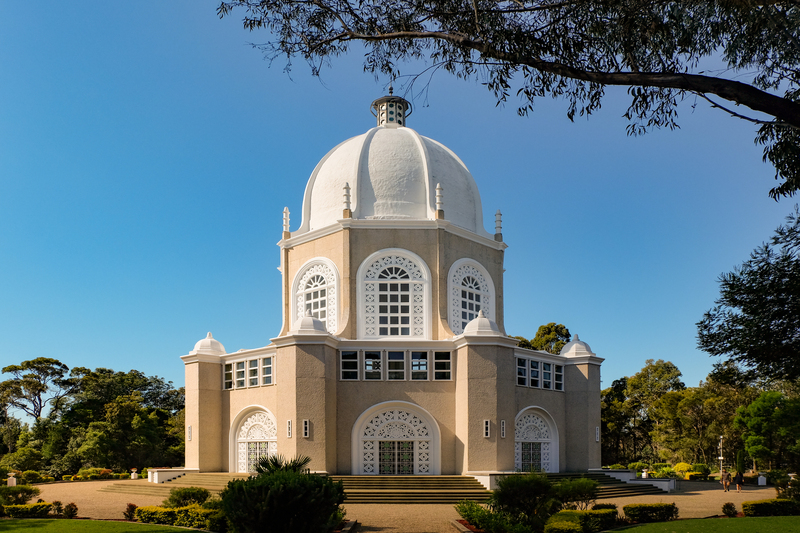 Members of all faiths and religions are welcome to Bahá’í Houses of Worship where services consist of readings and unaccompanied singing or chanting from the texts of the Hindu, Jewish, Buddhist, Islamic, Christian and Bahá’í scriptures. Mashriqu’l-Adhkár means the “Dawning Place of the Mention of God”. 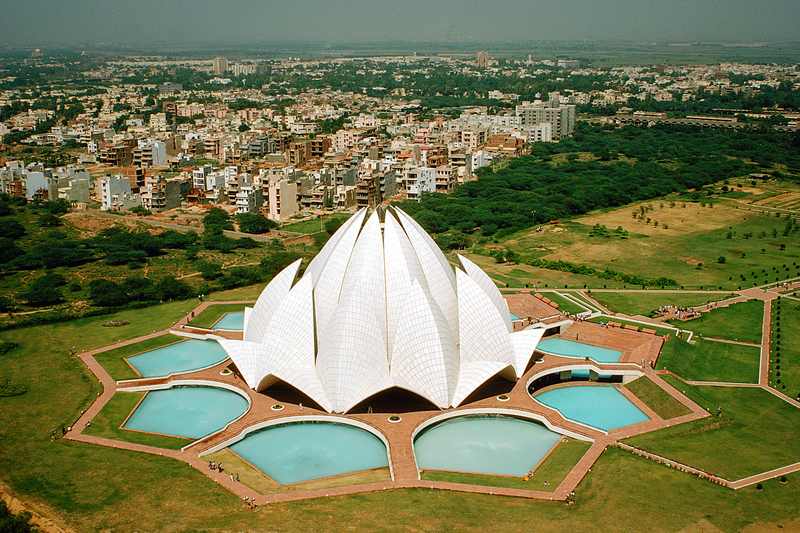 There are currently eight existing Bahá’í Houses of Worship around the world, with one Temple for each continental region: Wilmette, Illinois, the United States for North America; Kampala, Uganda for Africa; Ingleside, Sydney, New South Wales for Australia; Hofheim-Langenhain, Germany for Europe; Panama City, Panama for Central America; Tiapapata, Samoa for the Pacific Region; Santiago, Chile for South America; and The Lotus Temple in Delhi, India for Asia. The existing structures are all continental Temples. 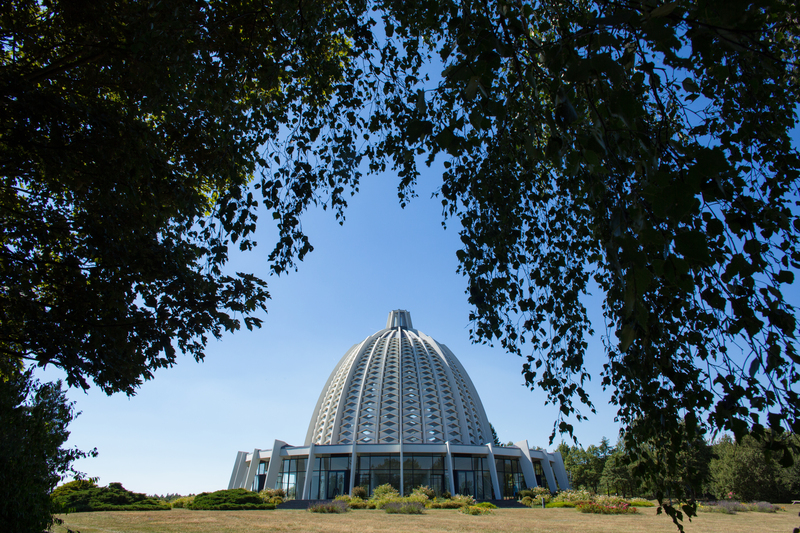 Plans are underway for the construction of two National Houses of Worship, one in the Democratic Republic of Congo and the other in Papua New Guinea. 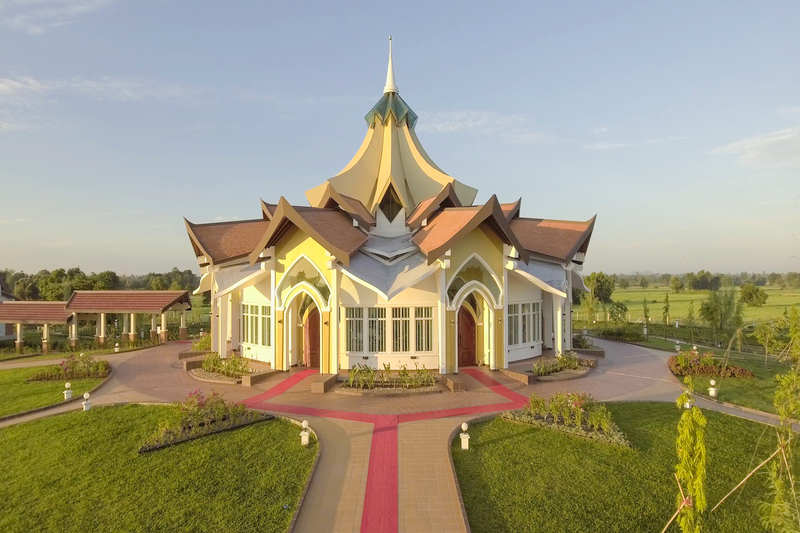 Local Houses of Worship are being planned for Battambang, Cambodia; Bihar Sharif, India; Matunda Soy, Kenya; Norte del Cauca, Colombia; and Tanna, Vanuatu. The first Mashriqu’l-Adhkár was built in Ishqábád, then part of Russia and now the capital of Turkmenistan, and completed in 1908. It was however, destroyed by an earthquake in 1948. 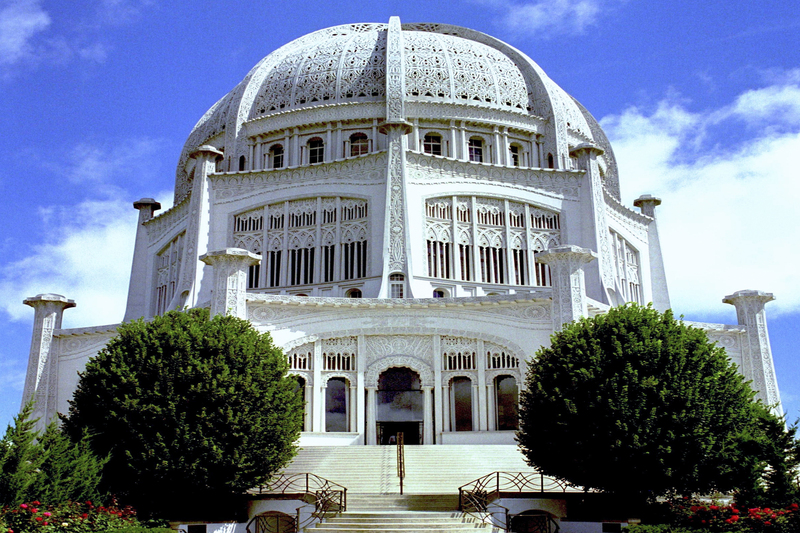 The oldest surviving House of Worship is the Temple in Wilmette, the foundation stone or cornerstone of which was laid down by 'Abdu'l-Bahá during his 1912 visit to the United States. It was only completed in 1953 due to the depression and war. The newest Mashriqu’l-Adhkár is the one in Santiago, Chile which opened in October 2016. 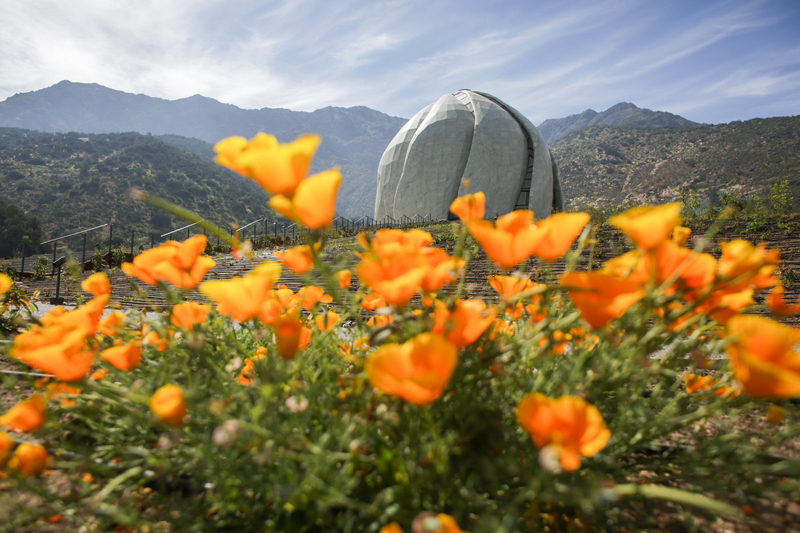 All Bahá’í Houses of Worship are open to the public, and are exclusively reserved for worship, as administrative matters and meetings are being done at Bahá’í Centers or private homes of individual Bahá’ís. 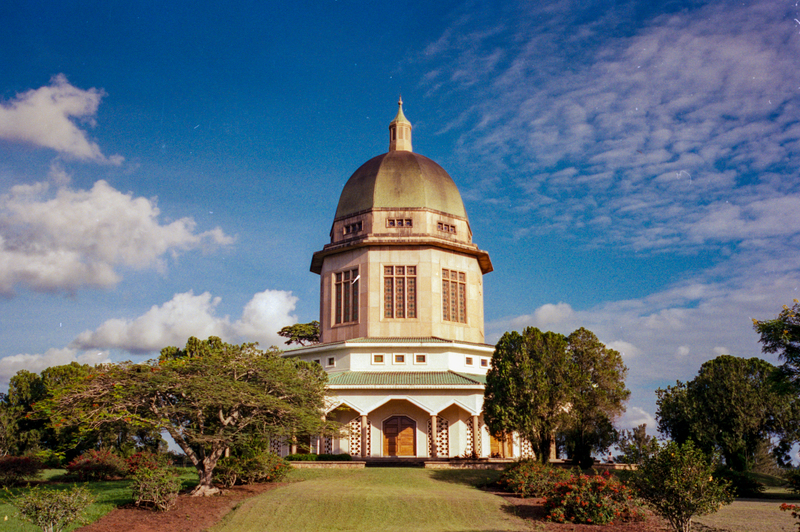 As the institution of clergy is expressly prohibited in the Bahá’í writings, sermons are not allowed at the Temples or any Bahá’í gathering. Only writings from the Holy Scriptures of the major religions may be read, chanted or sang during Temple services. 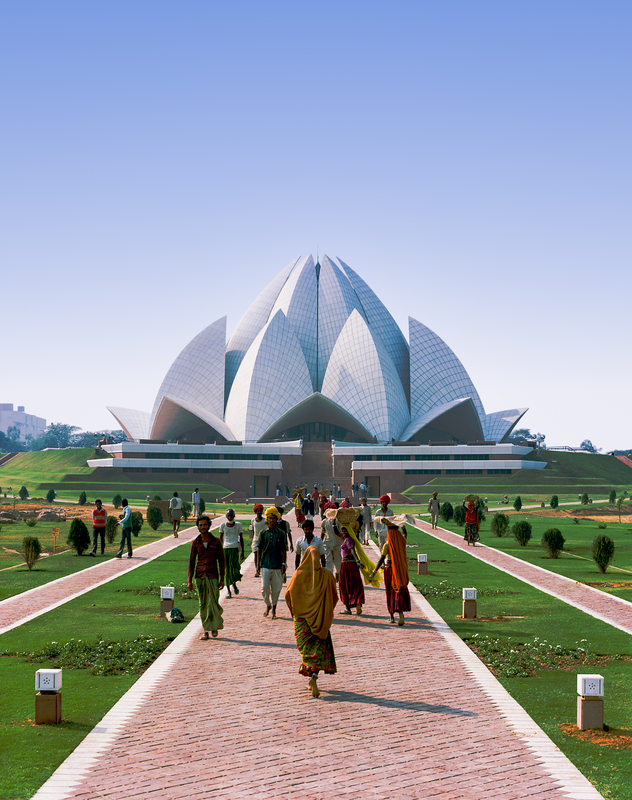 The Bahá’í Houses of Worship symbolize the unity of mankind who irrespective of race, nationality or religion gather together under one roof to worship one God. 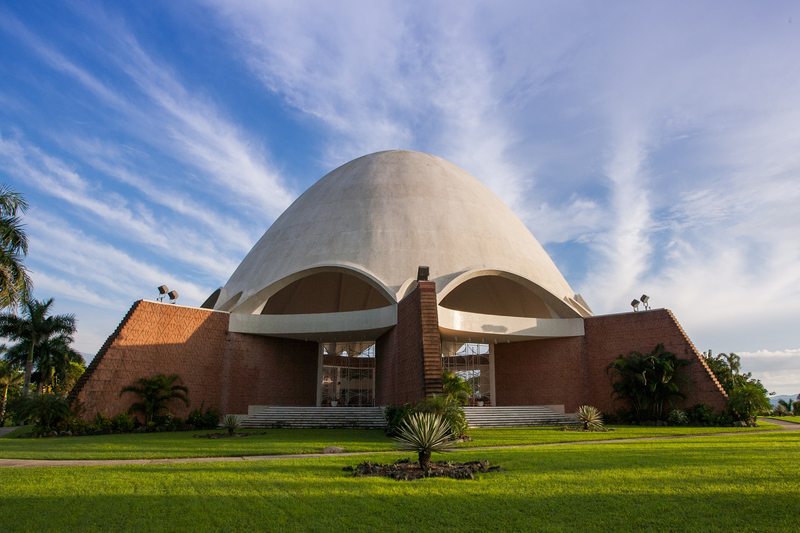 The seats in the auditorium face the Holy Land in Israel, and right under the dome of each Temple is written the Greatest Name: “O Glory of the All Glorious”. 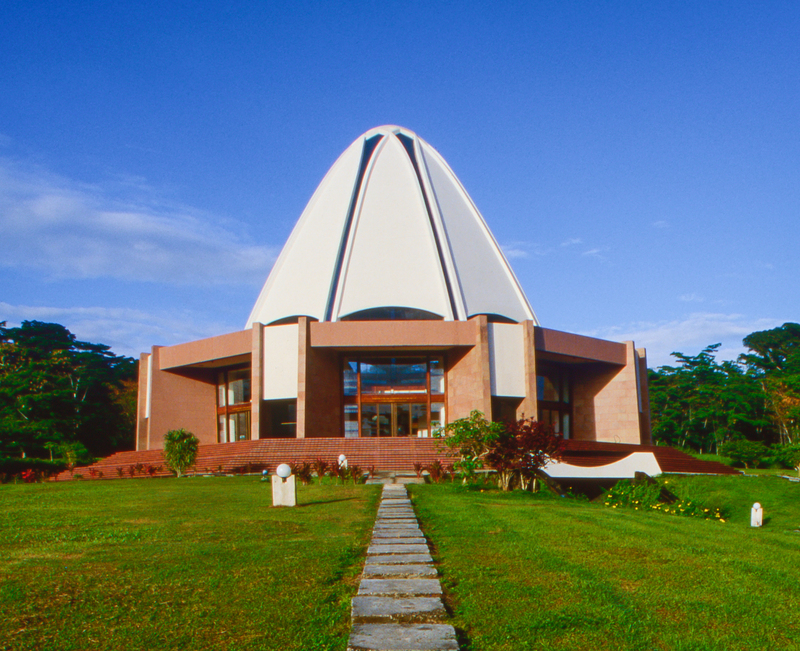 As to the services at the Temple or the surrounding institutions, “there will be absolutely no line of demarcation drawn” as these services “will be dispensed irrespective of color or race...religion will be harmonized with science and science will the handmaid of the religion, both showering their material and spiritual gifts of all humanity”.